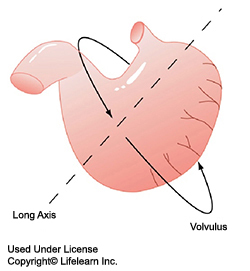 The primary goals of surgery are to return the stomach to its normal position, to remove any dead or dying stomach tissues and to help prevent future GDV. 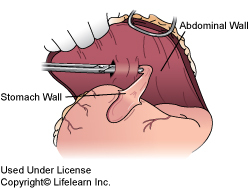 Several different techniques may be used, includinggastropexy (suturing the stomach wall to the abdominal wall) and pyloroplasty (surgically opening of the pylorus to improve stomach outflow). 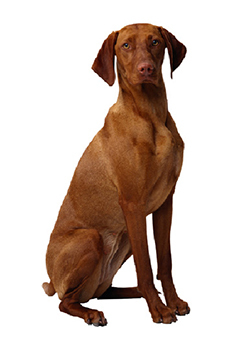 Your veterinarian will determine the most appropriate technique or combination of techniques for your pet's condition.